Tonight I saw an awesome live band; three vocalists, keys, two drummers, bass, guitar, and three horns. They were amazing! They played my favorite, 70s funk! Even though it was hot and humid inside, they had the whole place dancing; sweating and dancing! I don’t know what it is about seeing live music that makes it so much more amazing than just going out dancing and listening to a DJ. It must be the connection and the interaction between the musicians and audience. It was magical. It was an awesome day. With walks on the beach, fireworks, and dancing! 365 Challenge Day 4 – YOGA!! I hope that this will be a frequent and recurring theme for this blog!! I love yoga. But for some reason I need constant reminders of how much I love it. I often put it off, procrastinate, or skip it. I have had a lot of trouble making it a consistent part of my week, even though I have continued to do it somewhat regularly for more than 10 years. I have only done 30 minutes each day, but that has been key for me. Tonight I had intended on doing a full 90 minute vinyasa flow, but I only slept four hours last night and I’m exhausted. Instead of trying to force myself, I followed my intuition of what I needed, which was to be gentle. I really think the key to the success of this year of intention is going to be that flexibility. Instead of doing the yoga out of obligation, I did it out of inspiration, and I enjoyed every minute of it. I have been doing my own series each day. One day I focused more on standing balancing poses, one day more on inverted balancing poses, and one day more on core strength. It’s whatever I want it to be! And I love it. 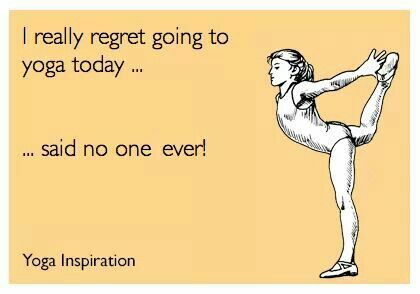 I even put some music on : ) I actually thought I hated music and yoga, but it turns out I only dislike other people’s music with my yoga! haha. Every day (so far) I have done some exercises for core strength, and every day I spent a couple of minutes working on two balancing poses, forearm balance, and scorpion pose (both against the wall.) It’s pretty exciting, even in just four days I’ve noticed an increase in my balance. I can’t wait to see what will happen if I actually can stay focused on these goals for the year! !